This week the team has been reading about transportation investment and its many forms! While funding may not always be the most thrilling topic these articles highlight interesting viewpoints like how housing policy is actually transportation and climate change policy, how you can help improve transportation funding right now of the U.S Senate floor and what public transportation might have looked like with steady investment. In the growing face of climate change and limited financial resources, these articles highlight where the country, state and cities should be putting their dollars, making alternative transportation the main form of transportation. This Op-Ed grapples with Climate policy in California, the state famous for leading the charge against climate change. 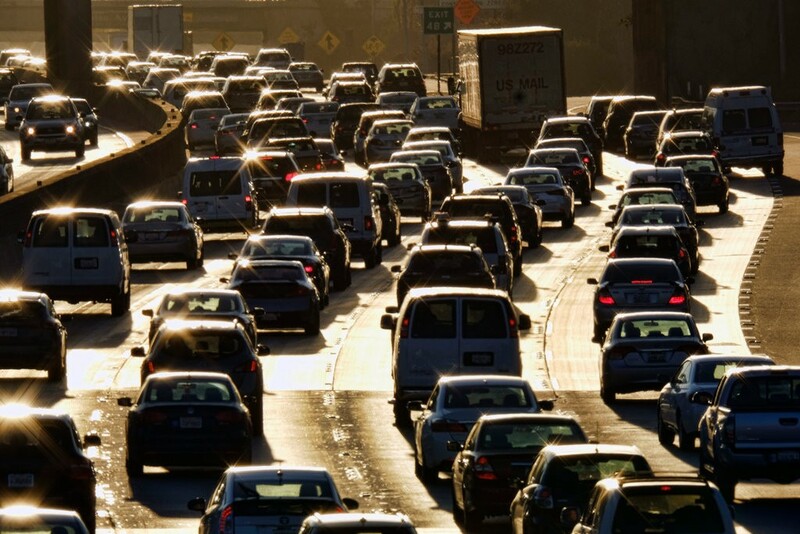 This article examines all the work that California has done towards reducing greenhouse gas emissions, but recent reports by the California Air Resources Board has shown that California will not meet emission reductions if they do not reduce their transportation emissions. This Op-Ed takes the transportation reduction challenge and pairs it with a solution, housing policy. Changing the way we build communities to be walkable and near jobs, retail and other resources not only supports healthy habits but helps combat climate change. Governor Gavin Newsom has prioritized housing, but the article argues that we should be going a step further and discussing how providing affordable housing near jobs and resources reduces greenhouse emissions because people can walk or take transit instead of driving. A bill has been introduced in the California state senate that addresses some of these concerns. The article urges people to pay attention to transportation and housing policy because these are solutions to climate change that are up to state regional and local government. Read more about the article here! The Safe Routes National Partnership released a blog that outlines their legislation asks for the next round of federal funding. The current round of federal funding will not expire until 2020 but the House and Senate committees are gearing up for the next iteration of federal transportation funding. Their asks include investing in the Transportation Alternatives Program to provide more money and an easier implementation process for active transportation projects and allocating more safety money to bicycle and pedestrian safety. Read the full blog here and learn how you can support national alternative transportation funding. This timely article has interactive maps that compare public transportation systems that were planned in the early 20th century, and what that transportation system looks like today. Compare the extensive transit plans of places like Los Angeles, Ontario and Detroit with what their transportation systems look like today. Below each interactive map is a brief description of why this city lost their public transportation investment which includes everything from conspiracy by General Motors to white flight. This is a sad but important article that outlines what American transportation could have looked like instead of the car-centric America we see today. Check it out here!